The 「World University Rugby Invitation Tournament（WURIT）2019」 outline has been decided! Tuesday 17th September: Training at Nerima Ward Training Pitch/ Kami Igusa Sports Centre etc. ※After practice, event with the local children. Thursday 19th September: Training at Nerima Ward Oizumi Sakura Park/ Kami Igusa Sports Centre etc. The Opening Ceremony for the WURIT 2019 will take place in Waseda University Building 14 Room 201 on Monday September 16th. All players, staff and support will be present. At the ceremony, the organising committee will open followed by information about the selection games as well as the aim of the tournament –being [The pursuit of the true underlying value of Rugby] being discussed by each team. As well as hearing the thoughts on this by each of the teams’ captains, we will also hear from the deceased Katsuhiko Oku’s close personal friend Reg Clark. We will be holding an event for the players and local children, so that they have a chance to positively interact with each other. This time is essential for these young children as this will be one of the first big events where they will come into contact with rugby. The plan is for these children to be able to have a training session and after that having a meal with each other. On the final night of the tournament after the last match on Monday September 23rd, the plan is to hold an Aftermatch Function at the Kami Igusa ground. The idea is to have all the teams bring out a performance or something of the like to celebrate the tournament. 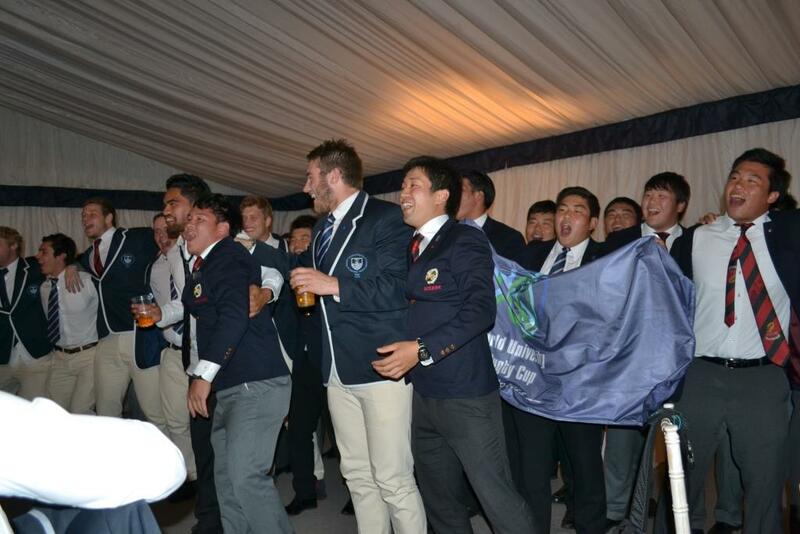 Then finally casting of the team names come together as one and celebrate the game of rugby and together singing songs and revelling like the past tournament. Japankuru Article on Tsuruga City- Port of Humanity!